FERNIE, BC – Fernie Brewing has announced the release of the latest beer in its limited edition Rotating IPA series. Quite fruity and tropical in flavour, featuring Enigma and Vic Secret Aussie hops. Galaxy, Ella and Topaz are also used. 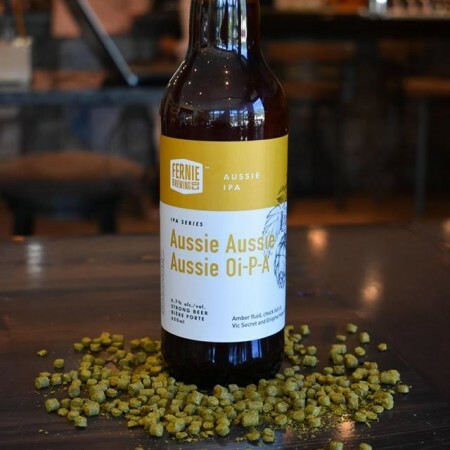 Aussie Aussie Aussie is out now in 650 ml bottles and on tap, and will be available in BC, Alberta, and Manitoba (bottles only) while supplies last.